72 Cacib's & 35 Group Wins! his head properties, athleticism and power and strength are exactly what the breed standard requires. 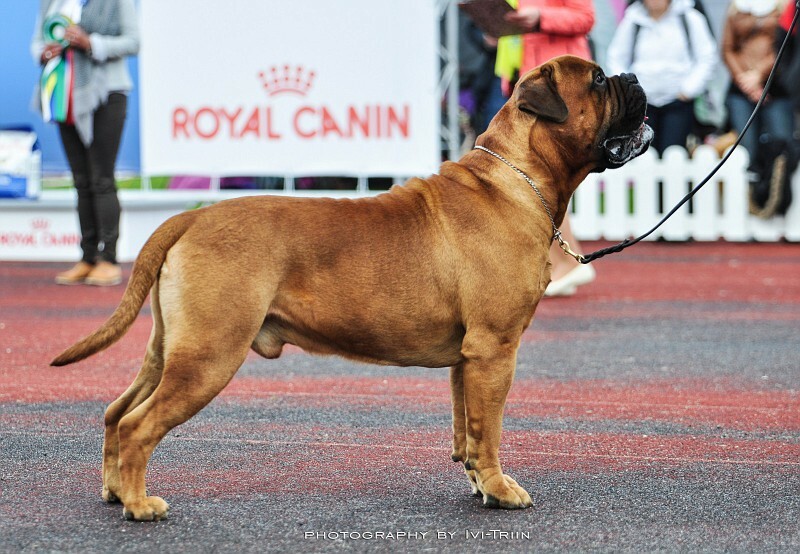 In Scandinavia you need 3 CAC's to become National Champion and the last CAC must be achieved after 24 months of age (in Scandinavia only two CAC’s are awarded on a show, one for best non-champion male and one for the best non-champion female). Alonso got 30 CAC's before he turned 2 years and became a champion and to this day he has 72 CACIBs from 9 different countries. The 28th CACIB gave him his International Champion title, when the one year limit was reached. He has won the breed several times and have 54 group placements and out of those 48 times he won the Group 35 times. He has won 13 x BEST IN SHOW at big International all breed shows. He has several BIS placements and also a BEST IN SPECIALTY SHOW under his belt. #1 in ALL BREED TOP DOG 2015 list in DENMARK! And in Finland ended up with the results #1 from FCI group 2 & #7 in All breeds Top Dog 2015 list! 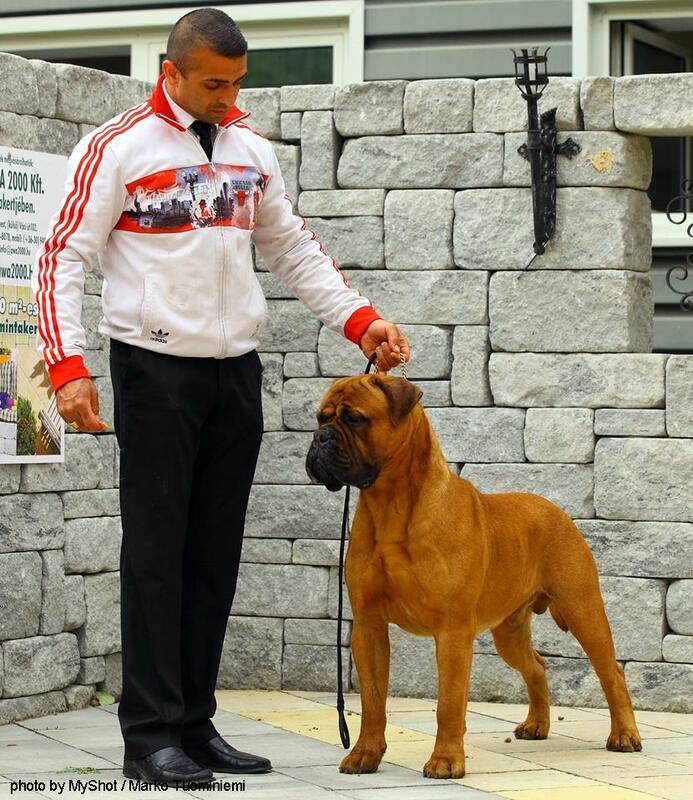 Alonso was #1 at TOP BULLMASTIFF 2014 competition in both official breed clubs of his home countries (Finland & Denmark)!! # 2 TOP winning show dog in Denmark (all breeds) in 2014 (# 1 from FCI group 2) !! 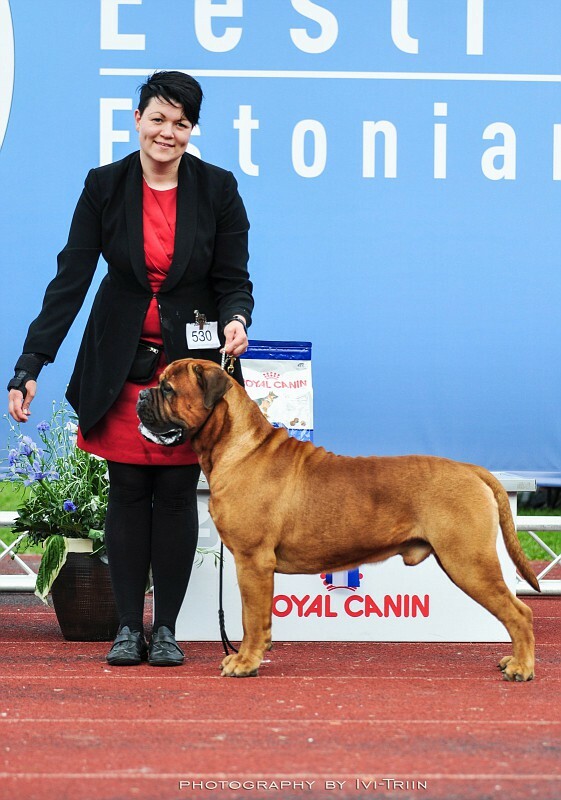 He was TOP Bullmastiff in Finland 2013 with breed club rules (only 6 months of showing). Puppies born at: Latvia 5+4, Italy 1+4, USA 4+4, Australia 1 and Finland 1+5.